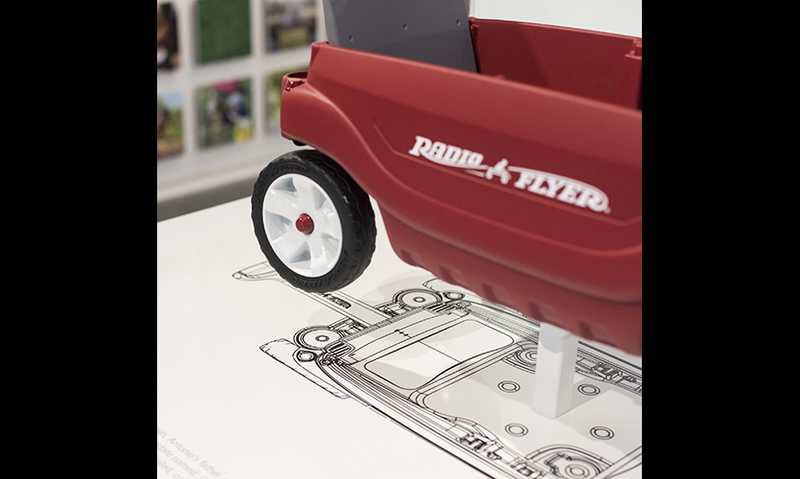 Antonio Pasin opened Radio Flyer as a family business in 1917. 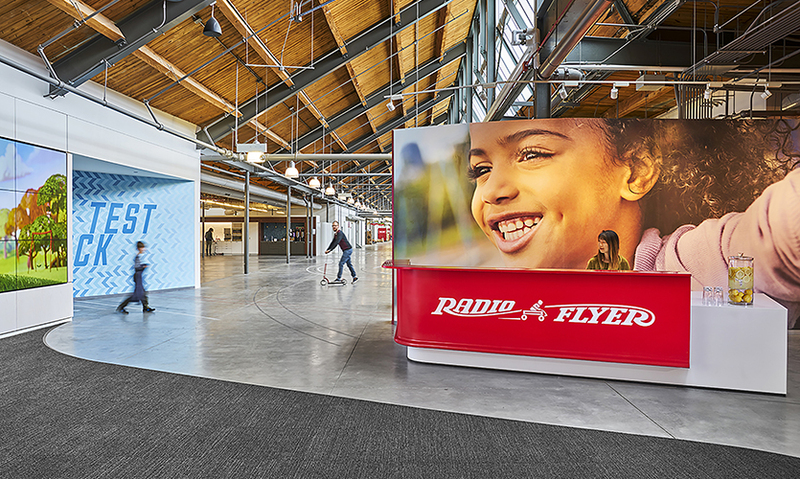 This year, Robert Pasin, Antonio’s grandson, will celebrate 100 years of Radio Flyer in a newly renovated space, a space in which environmental graphics and architecture come together to honor Radio Flyer’s past and highlight its innovative future. The design team was engaged to create a brand-focused entry experience highlighted by three distinct sections: Reception, Heritage Gallery and Test Track. 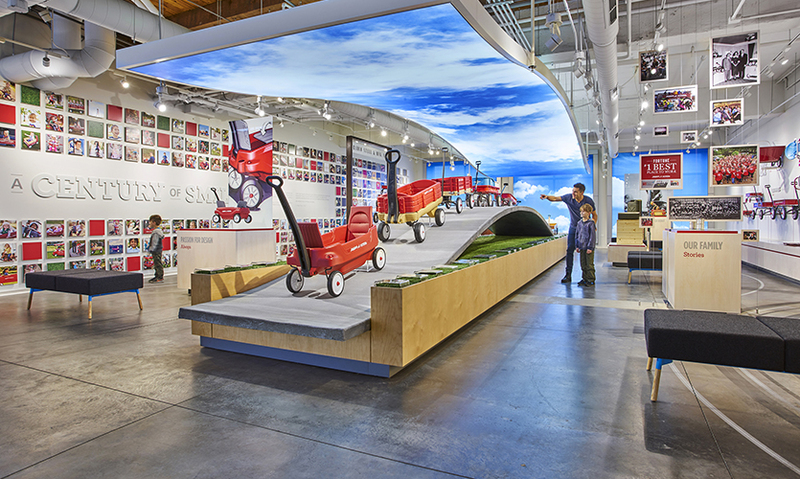 The Reception area highlights a Century of Smiles, a display of Radio Flyer customer photography moving chronologically through the decades. 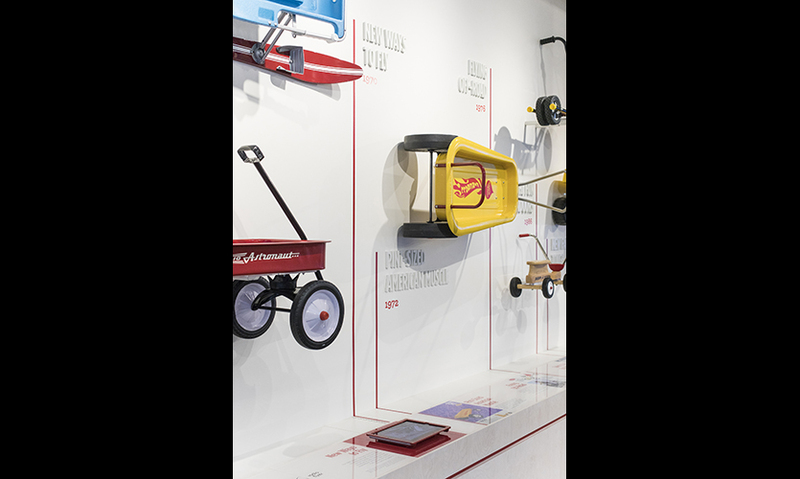 The Heritage Gallery traces Radio Flyer’s history chronologically from the 1910s to the 2010s and the Test Track is where children help can pilot the next generation of Radio Flyer wagons. 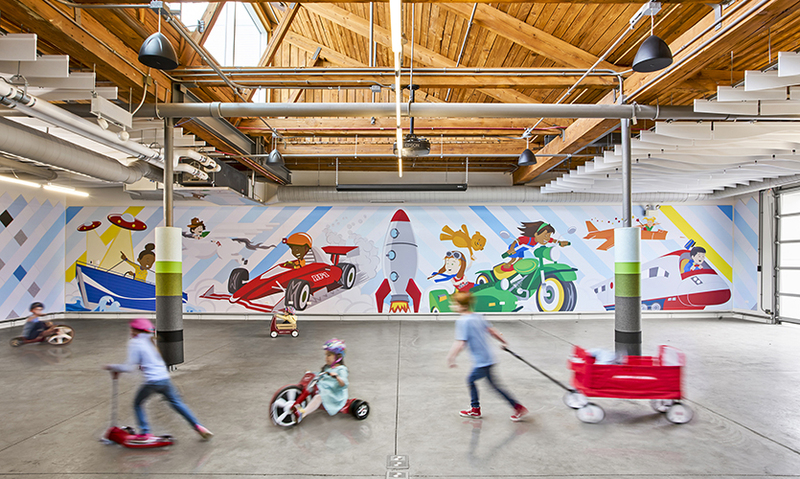 An illustrated felt mural brightens the space, helps with acoustics and encourages the playful spirit to animate ideas and dreams. 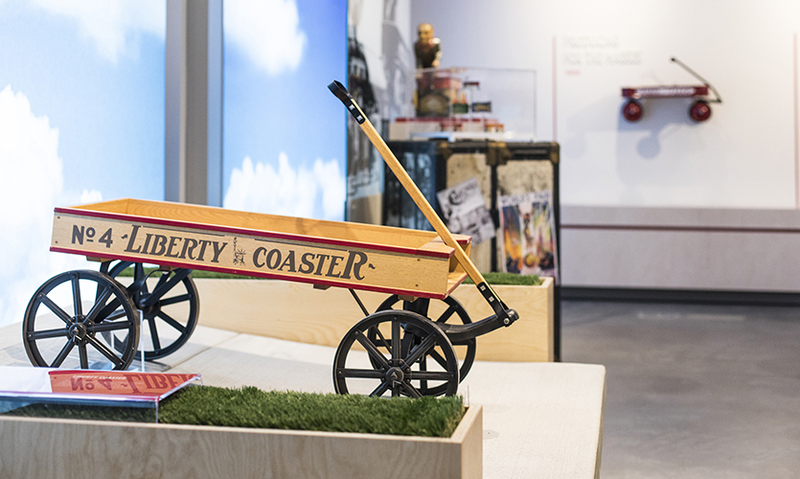 The design team used the theme of “imagination” to create a space that was inspiring for adult team members but pays homage to the millions of children who have found joy in turning their little red wagons into space ships, fire trucks and race cars. 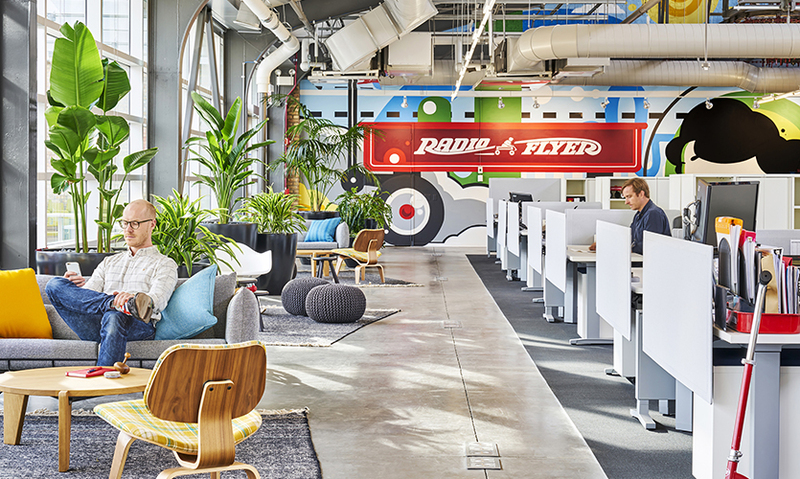 In the workplace itself, the design team partnered with muralist Anthony Llewellyn to activate the existing brick walls with a vibrant, colorful mural. 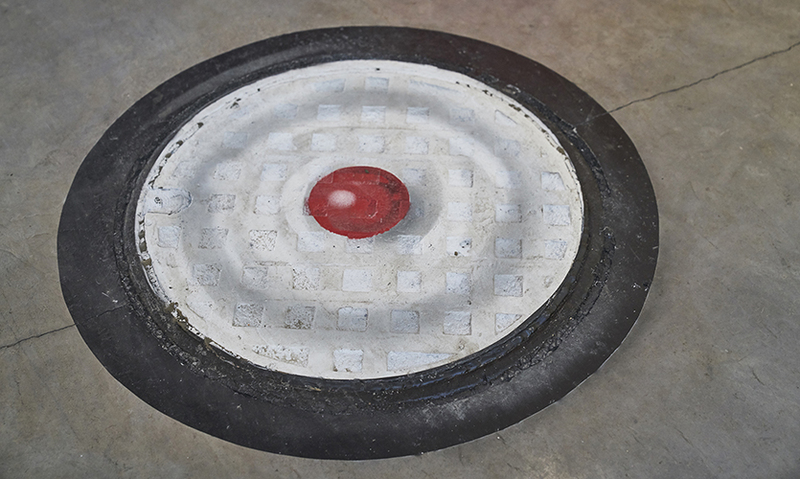 Moments of delight abound, including a manhole cover reimagined as an iconic red wagon wheel and tire tracks that crisscross the exposed concrete floors.